If we ever learn about Mitt’s tax history, no one will care. 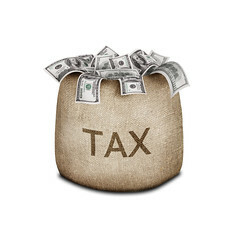 I posted a blog post entitled Proposition 13 and tax reform in which I advocated the abolishing of the property tax and the sales tax, to be replaced by the graduated income tax and a wealth tax on net worth. Let us crunch a few numbers and see what Mitt’s taxes might have been if my proposals were adopted. In 2011, Mitt paid about $2 million in Federal income tax on $14 million, a rate of about 14%. Say that Mitt made $14 million and paid a Federal rate of 30% or $4,200,000. On an estimated wealth of $250 million, he would pay 1% or $2,500,000 annually, for a total $6,700,000. 20% of $2,500,000 or $500,000 for a total of $2,180,000 to the state of California. On an income of $14 million, Mitt would pay Federal taxes of $6.7 million and California taxes of $2.18 million for a grand total of $8,880,000. That would be a combined rate of 63% leaving Mitt with only $5,120,000 after taxes to live on. That works out to nearly $100,000 after taxes every week of the year. I could happily live on just one of those weeks’ net income after taxes.